LEVERTON and 8G Capital Partners will work together to reduce uncertainty and unlock value in NPL transactions. LEVERTON, the market-leading AI-powered document and data abstraction company, today announced its foray into the Non-Performing Loan (NPL) market. 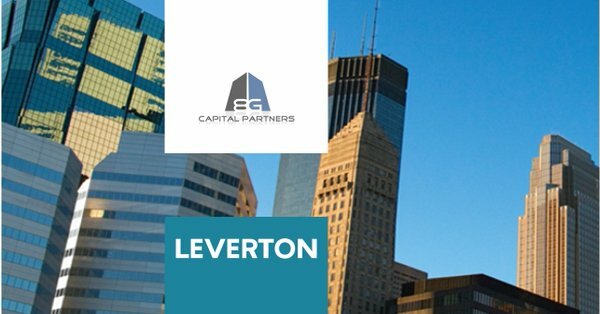 LEVERTON’s official partnership with 8G Capital Partners will support both buyers and sellers of NPL portfolios and help them to harness the power of artificial intelligence to save considerable time and cost in conducting due diligence and closing transactions as well as managing their portfolios post-acquisition. NPL transactions are highly complex. They involve myriads of documents, ranging from loan agreements, security documents, collateral documentation (such as title deeds, planning permits, plans) etc. Surprisingly, many transactions come to the market without full knowledge of what the portfolio entails. The two companies will work together to mitigate the risks of NPL transaction failures owing to data inadequacies, by combining 8GCP’s proven expertise in asset management with LEVERTON’s proprietary platform’s capability to improve data capturing and structuring efficiencies. On the back of increasing interest from several investors, financial institutions and loan servicers, the partnership will see LEVERTON and 8GCP target its joint solution offering to businesses in Greece, Cyprus, Ukraine and Turkey in its initial phase. “When marketing a portfolio for sale – be it NPL or real estate, it’s all about disclosure. Equally, when managing such a portfolio, one needs to have complete and accurate information on her fingertips. There is tremendous value in a clean data tape“ said Tassos Kotzanastassis, Founder, 8G Capital Partners. “ LEVERTON’s deep learning technology can be trained to automatically identify and extract relevant information from various types of documents and contracts including loan agreements and collateral documents in over 30 languages. Information that used to be hidden in hundreds of thousands of pages is brought to surface in a structured format, enabling more efficient data aggregation and significantly better transparency of large data sets. 8G Capital Partners is a private equity real estate firm with activities in London, Nicosia and Hong Kong. Through 8Gi, its PropTech subsidiary, it is investing in technologies that disrupt the management of property and property-related portfolios. LEVERTON provides deep insights from unstructured data found in corporate and legal documents. Trusted by over 100 leading companies to create value through structured data with its AI-powered, deep learning, data extraction platform, LEVERTON is located globally, with offices in New York, London, Berlin and New Delhi. Better Data. Smarter Decisions. Contact us at www.leverton.ai.